is a two-week program in ballet, modern and contemporary dance. The program is open to students all over the world who love dancing and have significant experience in Ballet or Modern dancing. The students must be 15-18 years old during the time of the program. • 10 intensive days of dancing, between 6-7.5 hours a day of training within a wide variety of styles with special attention to KCDC's demanding material and repertoire. • Hebrew classes and other enriching experiences like painting, swimming and music every evening. • Two full weekends where the students will enjoy organized trips around the country and will visit some of Israel's historical sites. The program is designed to give young dancers a taste of what a KCDC dancer's life is all about: refining their technique and performance, experiencing Israel and making friends from all over the world. At the beginning of the program, there will be two auditions. One in ballet and one in contemporary dance (company's repertoire). According to those two auditions, dancers will be placed in groups. The students are able to choose their groups for the afternoon and weekend activities. Both English and Hebrew are spoken in the program. 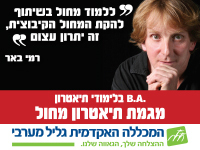 We look forward to dancing with you here in Israel!! 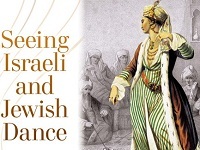 Dance-Theater meets the Jewish world. Four evenings of dance, including four premieres, workshops, and a discussion panel of Jewish spiritual leaders and leading choreographers. 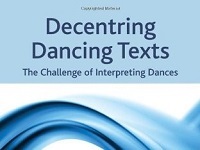 The world of Dance-Theater meets the Jewish world its characters, images, and themes. The performances are open to the general public. During the first two evenings all of the works will be performed solely by male dancers, in order to allow the religous public to watch the performances. Anna Halprin, a Jewish American dancer and choreographer will visit Israel in honor of screening a documentary film on her life and art Breath Made Visible (by Ruedi Berger), that will open the International Spirit Film Festival in the 14th October 2010 in Tel Aviv. Her visit includes academic activities as well.